Home >> Generated from JAN's SOAR Information System on 4/21/2019 12:09:34 AM. 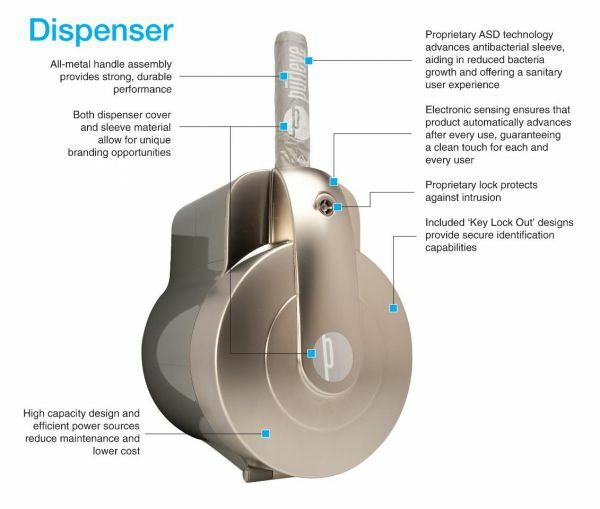 The Purleve™ hygienic door handle was born out of public demand, pure and simple. In a world where an estimated 30% of bathroom users don't wash their hands after using public restrooms, who wants to touch the shared handle that offers the only form of escape from the facility? And the fear is justified, since a typical restroom door handle is home to a multitude of bacteria —many of which carry disease-causing germs that continually multiply if not treated.